The Difference Between Artificial Intelligence, Machine Learning, and Deep Learning - AI, machine learning, deep learning. The computing world is no stranger to misused terms, the distinction between AI, Machine Learning and Deep Learning are quite important. Especially since consumers may be confused by inappropriate use of these terms. Let’s look at how these concept differ and what they mean. Any computer enthusiast knows the pain of having to learn mountains of jargon. There’s an obscure term or acronym for everything and companies are inventing more as we speak. Now we’re seeing concepts from computer science thrown around willy-nilly. Artificial Intelligence, Machine Learning and Deep Learning are terms you can now find on the back of a graphics card box or in the description of the latest app that does photo effects. Unfortunately these terms are often misused. Either on purpose or through a lack of diligence the lines between these concept are blurred. Which is why we thought it would be a good idea to try and draw some solid lines around these terms to help you better understand if what your reading actually makes sense or not. Artificial Intelligence or AI is a very broad field that deals with many different takes on machine intelligence. Both Machine Learning and Deep Learning fall within this broad church or research areas, but represent specific approaches and applications of AI. 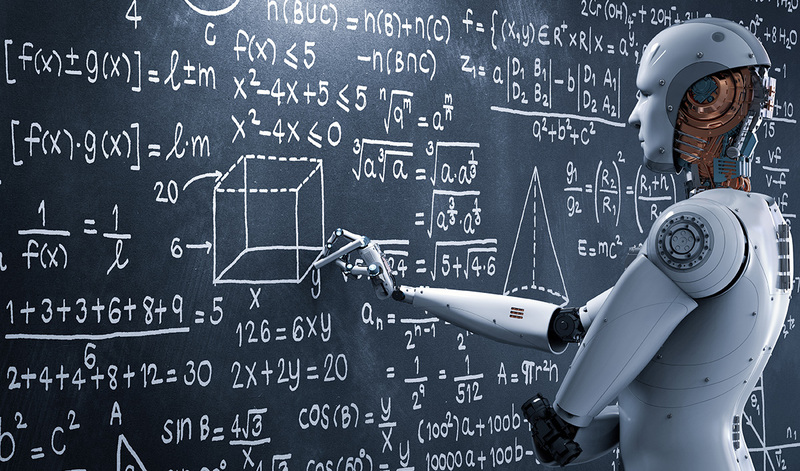 In general, the field of AI deals with computers solving problems and making decisions by (among others) understanding natural language, making sense of objects in space, learning from past experiences and so on. When most people think of “AI” they envision something like HAL 9000 or Skynet. These are examples of a type of AI that only exists in theory at the moment. Some call it “strong” AI others “general”, but it refers to hardware and software that can replicate human-like intelligence. Solve any general problem posed to it using the same sorts of strategies humans do. In real life, the only type of AI that exists is “weak” or “narrow” AI. This is technology that uses computing power to perform a single or narrow set of problem-solving functions. These AI can’t do anything else, but do the one thing they are made to do very, very well. The most famous example is of course Deep Blue. A Chess AI that made history when it beat human grandmasters. Our lives are now infused with narrow AI applications, many of which you may not even notice. The act of learning happens when someone gets new information gained through observation, reading or trial and error. This knowledge is then applied to future problems, presumably making it possible to solve them in better ways than before. In general, computer have to be programmed if you want them to solve problems. This works OK for basic, easily definable scenarios. The real world, however, is a lot more fuzzy and writing a set of rules that will cover a useful number of scenarios is very hard for human programmers. Machine learning lets a computer look at a set of observations (data) and find patterns in that data. These patterns are then used to generate rules. A good example is software that tries to recognize whether it’s looking at a human face or not. Thousands of varied pictures of human faces are analysed and the software looks for shared patterns. The more faces it sees as examples, the more accurate the resulting algorithm will be at recognizing new faces it’s never seen before as faces and noth something else. We can thank machine learning techniques for a lot of the smart cloud-based technology we use today. Modern image recognition, prediction, speech recognition and even computer-based medical diagnosis are generally powered by machine learning techniques. As the name suggests, Deep Learning takes us beyond machine learning as a general concept and into a specific method of machine learning. There are more than a few machine learning approaches, but Deep Learning is not only fascinating, but very effective at solving certain problems. The core mechanism of how Deep Learning works mimics the way that the human brain works. While we don’t understand exactly how the neural networks of the brain function, we have had a lot of success with artificial neural networks. 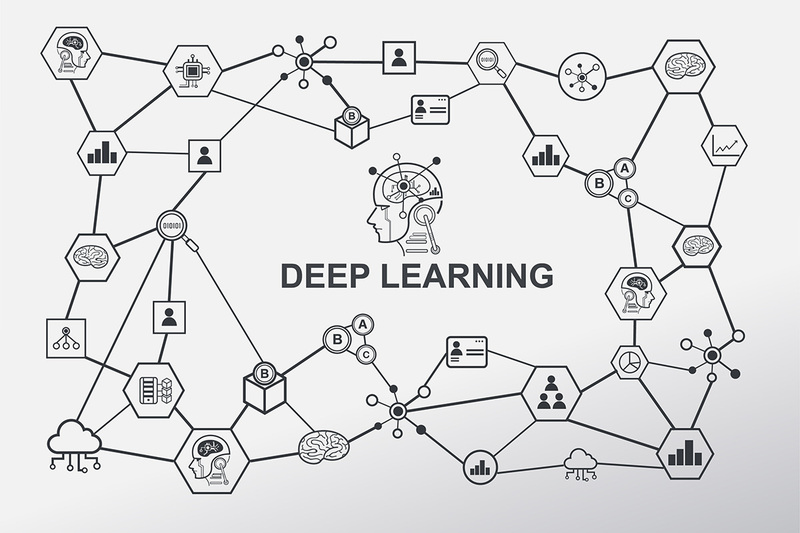 Deep Learning simulates neural network learning, running masses of training data through the network, which then modifies its interconnections to get progressively better at solving the problem. Of course, neural networks have been around for decades. Deep Learning refers to much, much larger artificial neural networks. Usually supported by specialized hardware that offers the massive parallel processing power. This is why GPU technology has been put to use in Deep Learning, with companies like Nvidia providing hardware that accelerated neural network simulations by orders of magnitude compared to using traditional CPUs. These three conceptual layers of AI are playing a bigger role in the everyday lives of people than ever before. With the advances in Machine Learning and Deep Learning, it’s now easier to create the illusion that the general AI featured in science fiction are just around the corner. After all, we have Alexa and a whole list of AI-powered tools from Google that seem like magic when they work. The truth however, is that there’s no way if knowing if or when we’ll produce a human-like machine intelligence. It’s not even clear of that’s something we want to do in the first place. In the meantime, advanced narrow AI techniques such as Deep Learning are making our lives better in a million ways. From helping us solve problems at work to actually improving our health. The impact and applications of Machine- and Deep- Learning are only beginning.